Closed on all major holidays: New Year's Day, Easter Sunday, Independence Day, Thanksgiving Day, and Christmas Day. The park is located in Whittier, west of the 605 freeway at Pioneer and Whittier Boulevards. Pío de Jesus Pico is one of California’s most remarkable historical figures. He witnessed, shaped and influenced nearly a century of California history in the 1800’s. Pío Pico was the governor of California in 1832 and again in 1846 before and during the Mexican-American War. His adobe home at “El Ranchito” has been completely restored to how it appeared in the 1880’s letting visitors experience and celebrate his life and times. Born at the San Gabriel mission in 1801, his ancestry included a mixture of Spanish, African, Indian and Italian, and he lived in a time when the Spanish, Mexican and American flags flew over California. Former Governor Pico began to build his home here in about 1848, and it has seen several changes over the last 150 years. 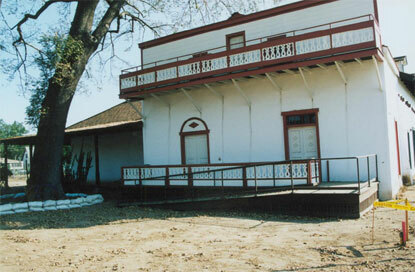 The “little ranch” and adobe home at Pio Pico State Historic Park is now surrounded by the communities of Whittier and Pico Rivera east of Los Angeles. Much has changed since Pico’s time, but for local and state-wide history, Pío Pico State Historic Park is a shining gem and testament to life in early California. Volunteers keep this fascinating heritage alive by preserving and protecting it with learning opportunities and service projects. 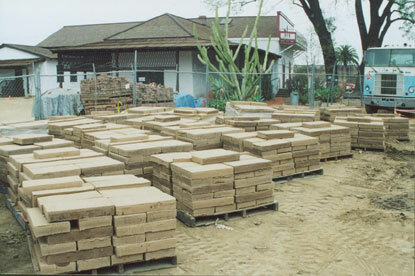 The five acre park encompasses historic gardens and the beautiful restored adobe home of Pío Pico. It is registered as California Historic Landmark NO. 127. A bell marks the original El Camino Real, which passed directly in front of the park during Pío Pico’s time. The park was once part of Pío Pico’s 9,000 acre ranch, Rancho Paso de Bartolo. Visitors can enjoy the park with picnics, bird watching and exploring the parks features including; a fifteen room adobe with interpretive displays, an horno (bread oven), and a dovecote. The park is located near the entrance to the Greenway Bike Trail. The park is located at 6003 Pioneer Boulevard in the city of Whittier, just west of the 605 freeway. The adobe home is accessible for visitors with mobility impairments. Guided tours of the adobe are offered by appointment only except on weekends. Groups of 10 or more need to reserve ahead of time. Interpretive school group programs aligned to California Education Content Standards are offered on Thursdays and Fridays. Guided programs are limited to 40 students, and self-guided programs are limited to 60 students. Schools must make advance reservations by calling the park at 562-695-1217 or emailing piopico@parks.ca.gov. Become part of our Volunteers in Parks program to help protect and preserve your heritage! We are seeking volunteers to assist with interpretive programs, special events and other special projects. We invite you to share your special talents, passion and enthusiasm. 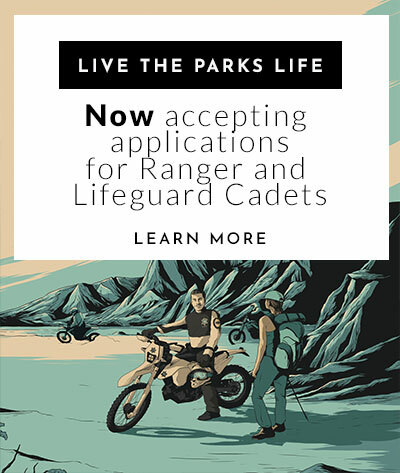 Being a volunteer, you work with State Parks rangers and park staff, participate in outstanding learning opportunities, and volunteer experience helps you when applying for all types of employment. Contact park staff at: piopico@parks.ca.gov. If you would like to hold an event at the park, please contact the special event coordinator at 310-441-9183 or email larry.fulmer@parks.ca.gov for permitting requirements and fees. K-12 guided school programs available. Call park for information.